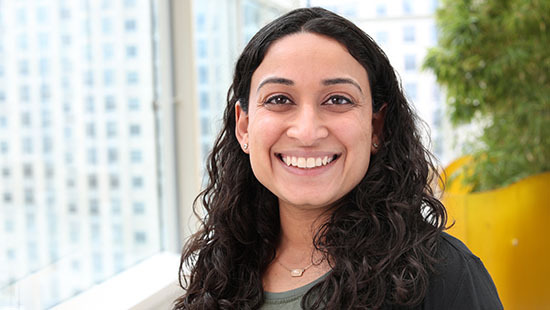 The goal of the Pediatric Emergency Medicine (PEM) fellowship training program at Ann & Robert H. Lurie Children’s Hospital of Chicago is to provide comprehensive training in the academic and clinical practice of pediatric emergency medicine. This training facilitates development of key attributes, including medical knowledge, research and clinical skills, judgment and professionalism, as well as a commitment to scholarship and lifelong learning. We recruit three fellows each year for a three-year, ACGME-accredited program. Fellows are freed from clinical duties during weekly fellows conference, which includes a core curriculum, research curriculum, an evidence-based medicine forum, journal club and morbidity and mortality conference. The core curriculum includes faculty-led programs on ultrasound, procedures, ECG reading and quality improvement. The kidSTAR Medical Education program, headed by PEM faculty, directs a simulation curriculum that optimizes in-situ instruction and team training. Divisional conferences are supplemented by a department-wide fellow’s college and ethics curriculum, as well as a grant-writing curriculum. Fellows participate in division administrative and quality improvement activities, as well as advocacy initiatives. Fellows can expect to complete a mentored research project in clinical, educational or translational science. Those interested in a bench laboratory experience have collaboration opportunities with scientists at Stanley Manne Children’s Research Institute or Northwestern University Feinberg School of Medicine. We anticipate that all fellows will present at a national meeting during training. Research time is provided during emergency medicine clinical months, as well as in dedicated blocks during which the fellow is free from clinical responsibilities. As a PECARN site, we also offer opportunities to become involved in multi-institutional research. Funded master’s programs are available in Clinical Investigation, Public Health, Healthcare Quality and Patient Safety and Health Services and Outcomes Research. 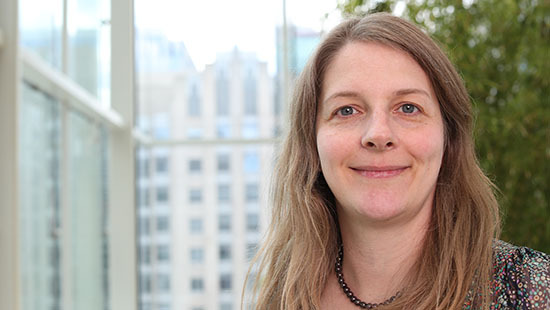 Fellows care for children in the 35-bed Emergency Department (ED) at Lurie Children’s. We are located in downtown Chicago on the campus of the Feinberg School of Medicine and care for nearly 60,000 patients each year. An on-site urgent care area is staffed 16 hours a day. The hospital is a pediatric tertiary care referral center ranked first in Illinois and sixth nationally by U.S. News & World Report. ED patients include children from the community as well as those from the larger metropolitan area and region with subspecialty care needs. Our patients are racially and socioeconomically diverse (more than 50 percent through Medicaid). The ED is a designated level 1 pediatric trauma center equipped with an EMS base station and serves as a local and regional referral center for pediatric trauma. More than 20 PEM physicians direct patient care while supervising and teaching medical students, fellows and residents from pediatrics, emergency medicine and family medicine programs across Chicago. Fellows also develop valuable skills during anesthesia, critical care, pediatric surgery and EMS rotations at Lurie Children’s. Toxicology instruction is through the Toxikon Consortium at Cook County Hospital and the affiliated Illinois Poison Control Center. There is a dedicated trauma experience in the Stroger/Cook County Trauma Unit, which serves a high volume of injured adult and pediatric patients, providing critical trauma and burn management. Emergency ultrasound rotations also take place and Stroger Hospital. Training in adult acute care occurs in the Northwestern Memorial Hospital ED, a level 1 adult trauma center with more than 80,000 visits a year. Fellowship applicants must have completed an ACGME-approved residency in pediatrics or emergency medicine before matriculating. We participate in the National Resident Matching Program fall match. Applications are accepted through the Electronic Residency Application Service (ERAS) starting in July of each year. Applicants should submit the following through ERAS to support their application: medical school dean’s letter, USMLE step scores, at least three letters of recommendation and a personal statement. We conduct our interviews from late September through early November, and the match results are scheduled in December. Dr. Mangold's interests pertain to curriculum development and integration of simulation into larger curricula. Joined kidSTARi n 2011.